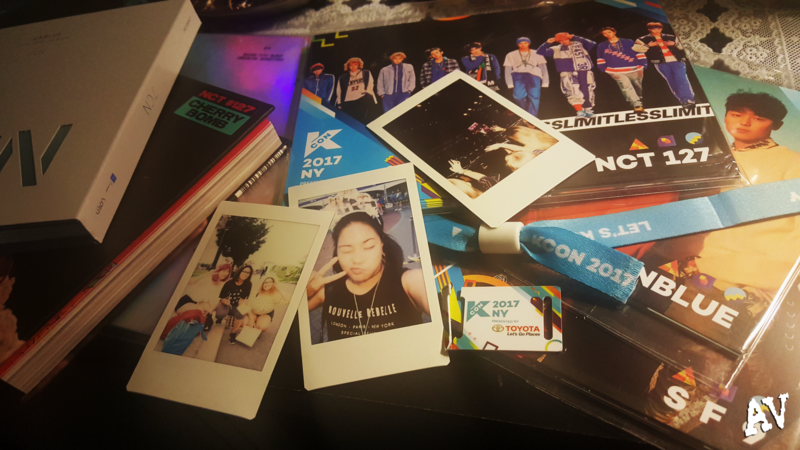 KCON 2017 New York Experience video coming soon… I swear! To preface the amount of videos and photos I have from KCON, I originally thought I had about 400 (HA! I don’t think there’s a difference) and that is because I came unprepared and didn’t think to make space on my phone (prior to leaving for Newark) for the damage I did on the first day. So I, sadly, had to delete what I took on Friday so that I could have some footage for Saturday because more of the groups that I wanted to see were performing on Saturday. BUT… I just found out how I can retrieve what I deleted last night. Did you know… that the Samsung Note5 has a Trash folder that keeps files in there for up to 15 days? I didn’t know… and I am so happy! Time to restore everything! It is a Friday, so I am hoping that my job lets us out early again so that I can get right back to work on the video. In the meantime, take a look at the teaser video I uploaded a few days ago. I am also hoping to get to a few reactions to new music videos that came out, like Bang Yongguk’s Yamazaki, BTS’s remake of Seo Taiji’s Come Back Home, DAY6’s Hi Hello, and EXO-M Xiumin & NCT Mark’s Young & Free. I might not be sleeping tonight… What is sleep?